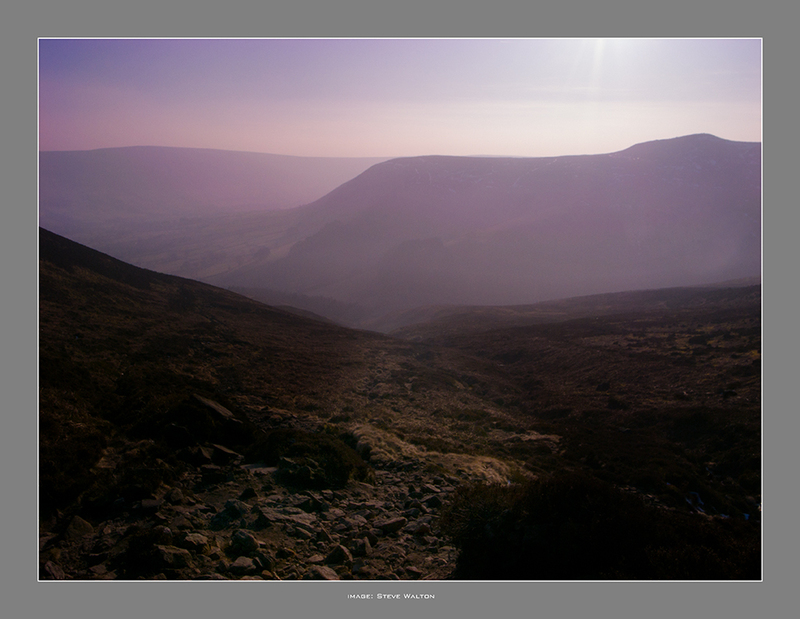 Descending Golden Clough into Edale, the mist hadn't lifted all day. Still some snowdrifts laying on the northern edge and in the groughs. Tuesday: what a glorious day! Can't really say more than that.